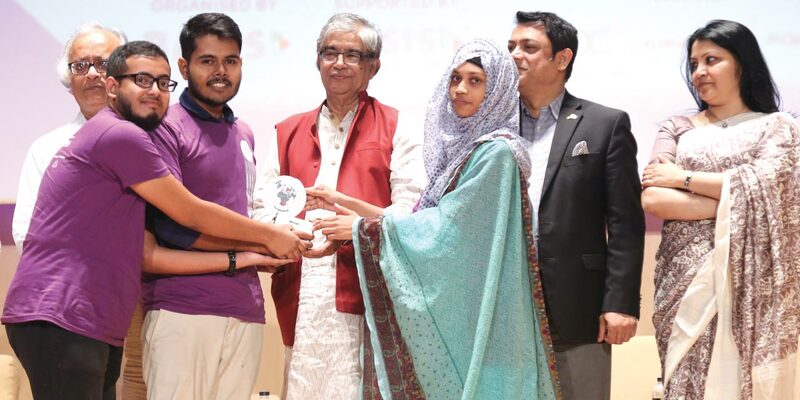 Top eight projects from Bangladesh were nominated to participate in the international phase during the prize giving ceremony of the fourth NASA Space Apps Challenge held at the auditorium of Independent University of Bangladesh. Team Game Changer was the champion from Dhaka while Team Planet Kit took the runners-up position. From Chittagong, Team Queue became the champion and Team Matra was the runners-up. Team Photon was selected as the champion from Comilla and the runners-up position went to Team MetaCoders. The champions from Rangpur and Sylhet were Team HSTU Matroid and Team Olik respectively. 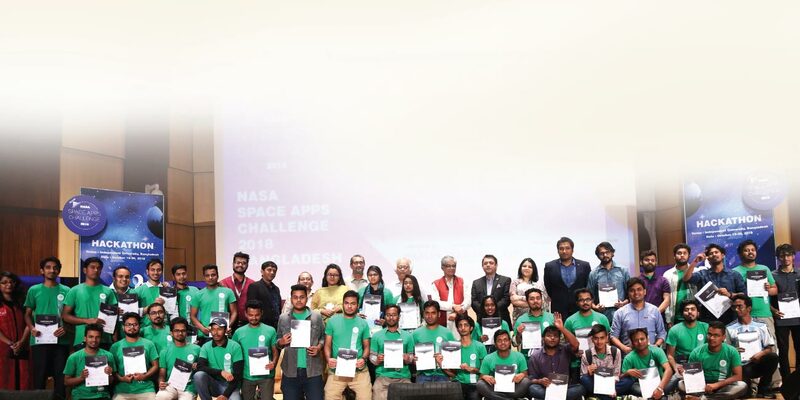 2000 participants submitted their projects to win this year’s NASA Space Apps Challenge 2018. Out of them top 40 teams were selected to participate in the 36 hour-long Hack-a-Thon which was organized by Bangladesh Association of Software and Information Services (BASIS) and BASIS Student’s Forum. Posts, Telecommunications & ICT Minister Mustafa Jabbar was the chief guest of the prize giving ceremony. BASIS President Syed Almas Kabir, Senior Vice President Farhana A Rahman, Vice President (Admin) Shoeb Ahmed Masud, Vice President (Finance) Mushfiqur Rahman, Director Tamzid Siddiq Spondon, Nasa Space Apps Challenge Convener & BASIS Director Didarul Alam, and Joint Convener Ariful Hasan Opu were also present, among others. “Young ones will lead tomorrow’s Digital Bangladesh. Through the NASA Space Apps Challenge 2018, BASIS has created a wonderful platform to showcase the talent of our youngsters. Last year we obtained 2 places in World’s Top 10. We are hopeful to do better this year,” said the Posts, Telecommunications & Information Technology Minister in his speech. While talking about the NASA Space Apps Challenge 2018, BASIS President Syed Almas Kabir said that the NASA Space Apps Challenge is an international mass collaboration focused on space exploration that takes place over 48-hours in 250 cities around the world. “Its main goal is to find out the innovative solution to solve the world’s global problems by ensuring the participation of everyone including technologists, scientists, designers, artists, educators, entrepreneurs etc,” he added. Nasa organized this event in 250 cities, worldwide. From Bangladesh, 9 Cities (Dhaka, Sylhet, Chittagong, Barisal, Rangpur, Mymensingh, Khulna, Barisal and Comilla) participated in this Global Hack-a-Thon. This year’s campaign involved approximately 50 lakh students virtually and approximately 1,00,000 students took part physically in the event.